just for clarification, i am actually 38+1 day along. the ticker on the right is correct... although a few of you have wondered where i am in this process simply because i post the weekly photos late (sometimes even 2 weeks later!). i'm sorry if this has caused confusion. but shooting with film for this project has left me waiting for the pictures. at any rate, i haven't yet taken week 38 but will do so soon. as for the special treat of week 37- here it is in all its glory! i hope you will enjoy!! 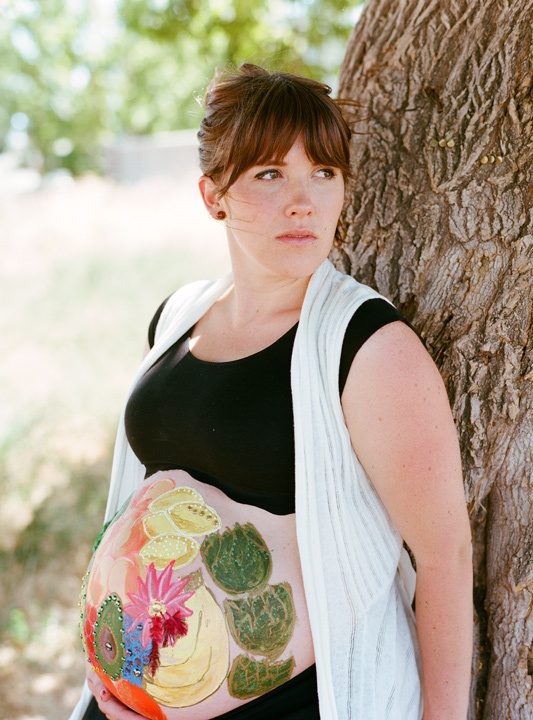 jenica- a fabulous artist and the one behind the paint on my belly. 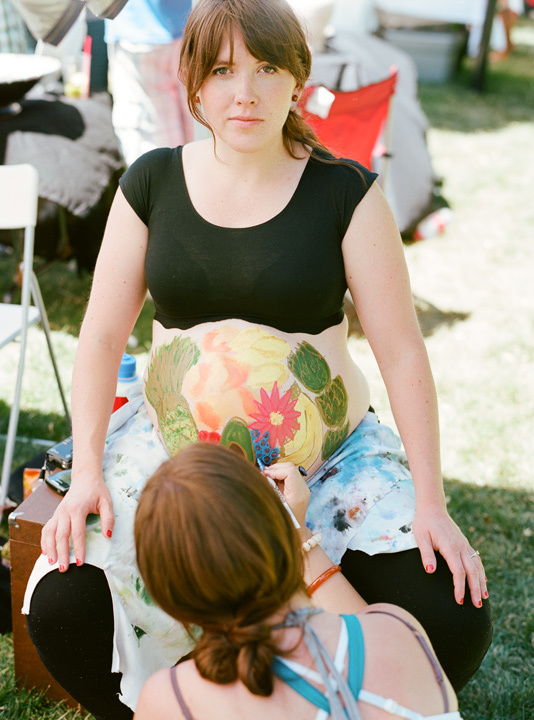 i'm not sure where i got it in my head that i wanted my belly painted... but somewhere, somehow it got there. i think it may have been mainly motivated by the desire to be photographed by alisha in a large-format 4x5 color polaroid. when i learned that she would have a booth at the farmer's market, i knew that i needed to make this happen. fortunately, for me, she knew jenica- who was more than willing and excited really to help make this a reality. jenica came, and with her mad skills made my belly into a canvas for her beautiful masterpiece. 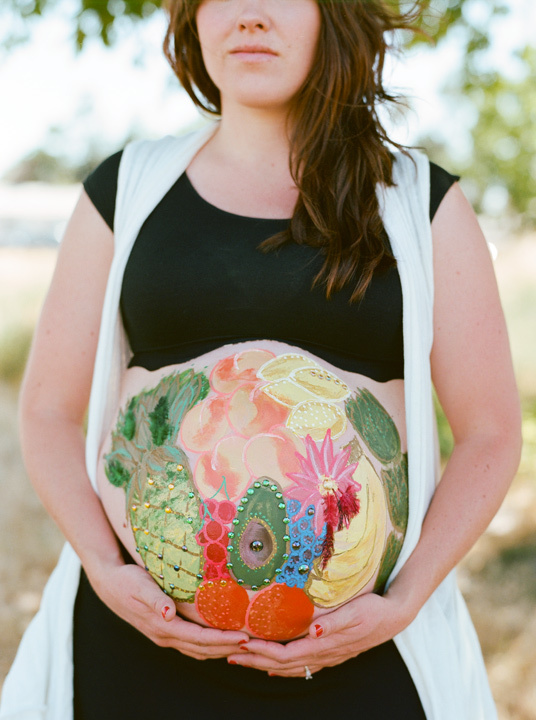 i chose to have her paint some of the fruits and veggies that i've photographed through this process. i loved the little final touches which she added. it was a sunny day at the market. so enjoyable, sitting there being painted. after the painting was complete, alisha was so good as to capture the following 4x5 polaroids for me. her work is stunning. 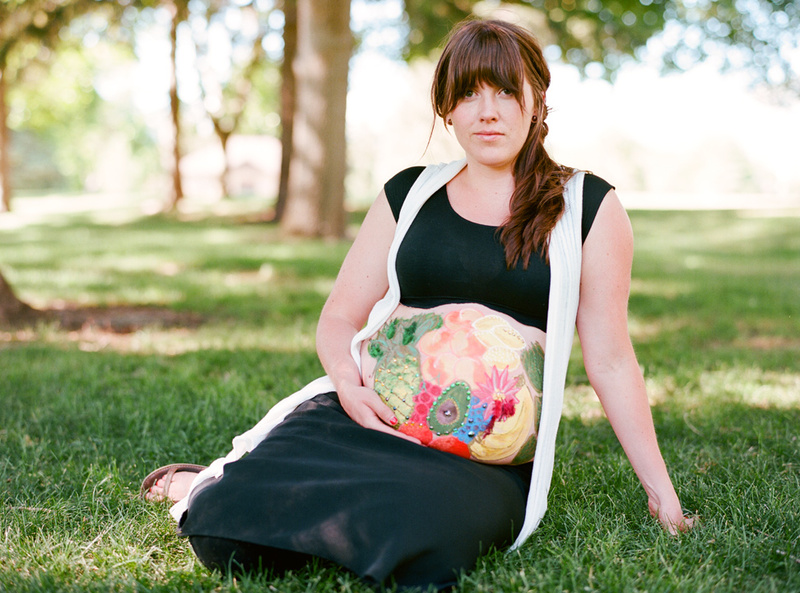 if you are in the salt lake area and want something to do on a saturday- seriously consider heading down to the market to have her photograph you. it won't be something you'd regret! and the best part- you get to walk away with print in hand. soooo beautiful! 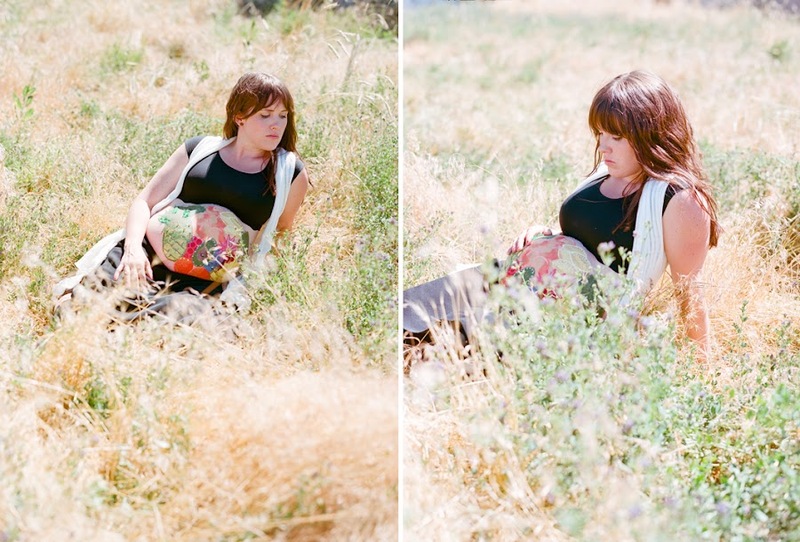 and then, finally... my sweet love assisted me in creating these images. he's such a good sport! You beautiful, beautiful girl. You will treasure these photos forever. YES! This turned out to be more incredible than I even imagined! I love everything about it. Wish I had been there. The fruit is so fitting! These pictures are really beautiful. 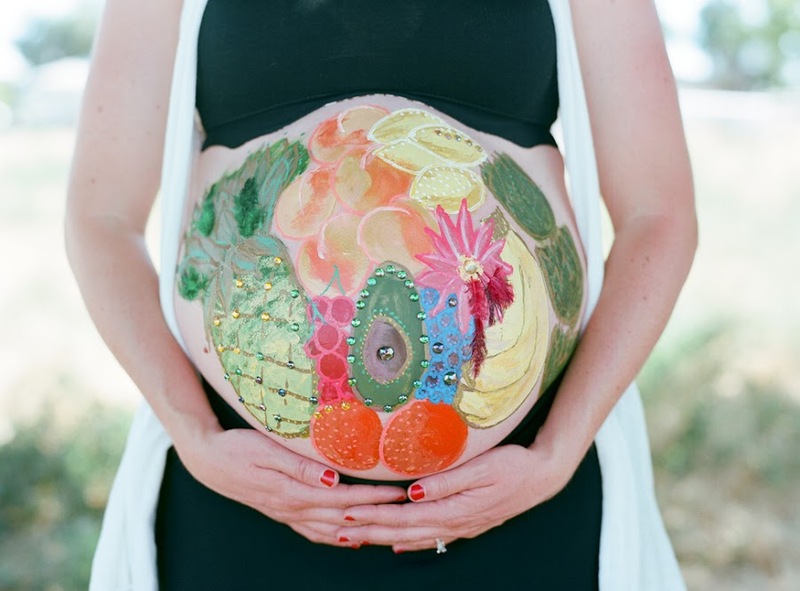 What a cute idea.... a fruit basket belly! 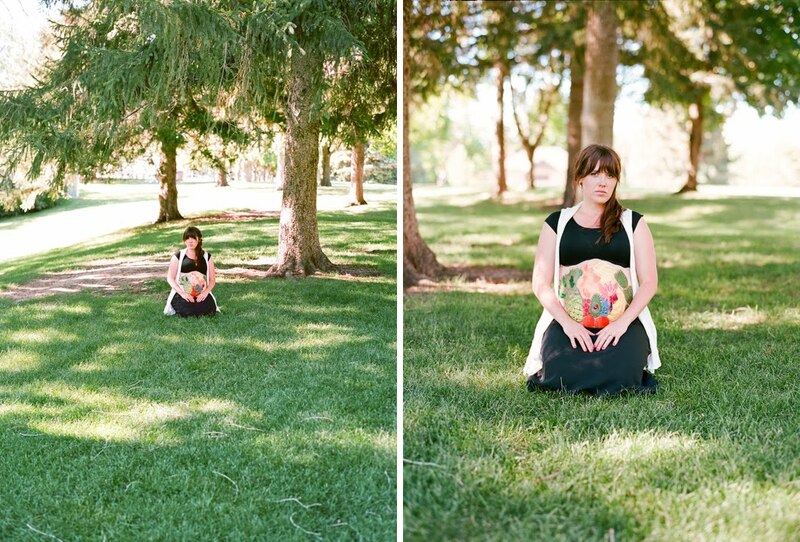 Once baby is here you are going to love looking back at all your week to week pictures of your growing belly. LOVE IT!!!!!!! only a week to go! jenica is one of my most fave chicks. That is so beautiful! 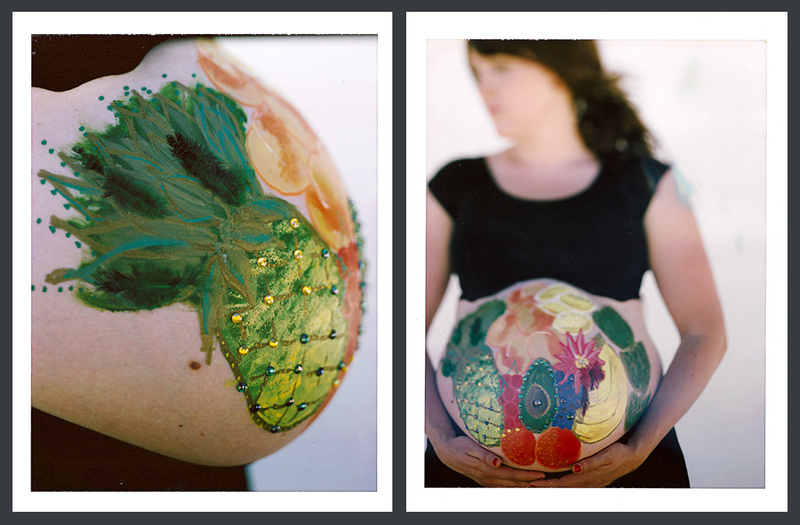 I had my belly painted too and it just so happened that I went into labor just hours after it was done, so all of my birth photos show me laboring fully decorated. A happy accident indeed. I wish you the very best of luck on what will surely be a beautiful birth. My only (unsolicited) advice is a quote from a plaque in my prenatal yoga studio, "She believed, she could, so she did."